The Shop Company currently ships anywhere within the continental US (excluding Alaska, Hawaii & PR). Ever since we had opened our doors in late 2012 we have been inundated daily with requests from all around the world for our products but had no way to help them - until now. TSC is proud to announce a partnership with the #1 freight forwarding service MyUS to now be able to ship internationally to over 220 countries. MyUS can provide you with a custom US-based street address, receive our shipments there on your behalf and then forward them internationally to you. They take care of all the customs paperwork. The shipping is very fast and members benefit greatly from their heavily discounted shipping rates. Canadian customers, especially for those close to the US border, the Kinek border pickup service might be a better option. Orders can be shipped to any one of their numerous border locations for customer pickup or for quicker shipping into Canada. Alternatively, the MyUS service has recently become very cheap for Canadian shipments. Should you not wish to use either MyUS or Kinek, we may be able to arrange direct shipments into Canada. Please call (732-719-5044) or email us (sales@theshopcompany.com) for more information. 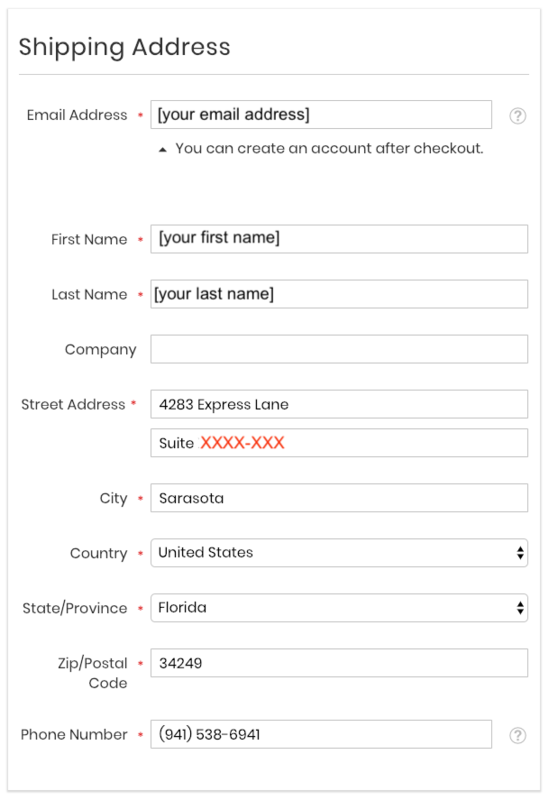 Sign up for an account at MyUS to receive your own US mailing address (which is basically a unique suite number in their warehouse). We will send your order to your suite at the MyUS warehouse and then they will ship it directly to you. It's that easy! For estimated pricing, specific information, FAQ and terms please see below. We advise you to read it thoroughly. Professionalism: MyUS has the service that our customers deserve and have come to expect. 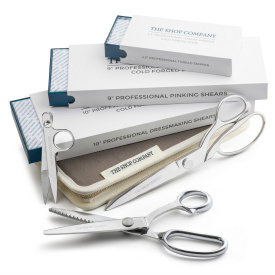 Large Packages: Many freight forwarding services are designed for smaller packages and simply do not allow shipping for larger items such as our professional dress forms. Lower Cost: as they ship a considerable amount of packages every year (10,000,000 so far) they are able to negotiate fantastic rates from the large shipping companies and pass these savings on to their customers (up to 80% off retail shipping prices). Also, they base their shipping prices on overall weight and not on dimensions. 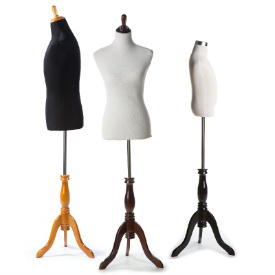 As our professional dress forms packages are large and bulky yet do not weigh that much, this creates even more significant savings for our customers. What are some examples of shipping prices? Below is a list we have compiled with their country guide. MyUS offers several membership plans. Which should I choose? If you are only shipping a single package, the MyUS membership is free. If you plan on shipping more than one package, the membership is $7/ month but the first month is free and it can be cancelled at any time. I plan on ordering more than one product. Can MyUS combine the packages into one box to lower my shipping costs? Yes. MyUS will combine multiple packages (whether from TSC or from any other US brand you would wish to order from) into one which can save you a considerable amount in the shipping. Basically, once all your packages arrive (which is all viewable in your MyUS account) you can request the combination at no extra charge. Please be aware that some of our products do not ship out at the same time. 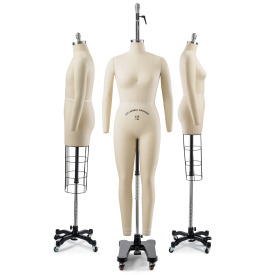 For instance, the common combination of a Professional Dress Form with the Fabulous Fit padding system, the form will ship from our warehouse in NJ (on the east coast) while the padding kit will ship from CA (on the west coast). There could be a lag of several days in between the shipments. The primary costs will be the small membership fee (see above) and the heavily discounted shipping price. Depending on the country, there might also be a small customs tax charge which will be billed to you at the time of arrival. Please see your specific countries import customs tax laws. Please see the MyUS website for more information. Do I still need to pay the US shipping charges? The Shop Company charges a flat rate shipping for our products (the charge should show in the shopping cart and then again at checkout). This is our cost to send your order to your MyUS address and is not included the international shipping bill charged by MyUS. How are returns, exchanges and damages handled? Please refer to The Shop Company's return policy information for details. All international orders are responsible for the return shipping costs as we only provide prepaid labels for US-based shipments. The vast majority of our shipments are without flaw. However, every once and a while on very rare occasions, we might make a mistake and ship out the wrong product (for instance a size 2 instead of the size 4 ordered) or there might be an imperfection in the product. As international shipping costs can be quite expensive, once the package is delivered overseas, we will not be able to have these mistakes or imperfections fixed. By default, MyUS will check the packages to make certain that all is in order before it gets shipped overseas. However, we would strongly advise asking them to send you photos of the product so that you can double check. These photos are something they do every day and can easily be requested from your online account. They will not ship out your order until all verification is completed and approved. For questions relating to MyUS and their international shipping program, please visit them online at MyUS.com or give them a call at 1-941-227-4444.